Unfortunately, it’s what Brazilians call political smoke. In other words, nothing but words. Cynical, empty words. If Dilma had wanted to honour Brazilian women she’d have had more of them in her inner circle. She’d have made more campaign promises. She’d have shifted the subject of gender inequality onto centre stage. She did nothing of the sort. 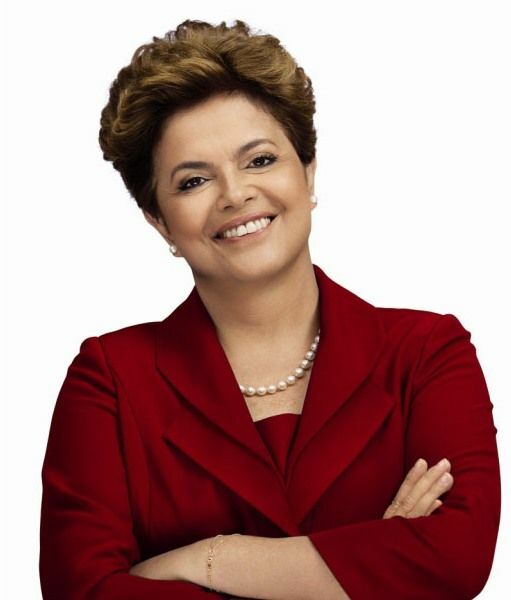 Dilma made almost no mention of women’s issues in the campaign. There was no talk of opening more reproductive health clinics or increasing the number of hospitals offering screening for breast cancer, for example. This campaign video designed specially to appeal to women makes absolutely no firm commitments in the gender sphere. Worse, Dilma reversed her pro-life stance and came out against abortion after the neandarthal religious lobby criticized her for daring to challenge the church’s position. More than 200 Brazilian women die after desperately attempting illegal abortions each year and another 200,000 are hospitalized from complications arising from botched attempts (as I said in this earlier post). Reflecting her ambiguous position, leading feminists criticized her and said her campaign did women a disservice by attempting to present her as “the mother” of Brazilians (a strategy she later abandoned). Women are woefully underrepresented in Brazilian politics. This chart of Women in Parliaments puts more than 100 nations ahead of Brazil in the table measuring female participation in government. Brazil is 106th of 186 nations. In the Oct. 3 Congressional elections, the number of female Senators went from 11 of 81 to 12. Only 43 of the 513 Deputies are female, LESS than the last Congress, when there were 47. That percentage is, incredibly, much less than in Rwanda, Mozambique, Uzbekistan or Bulgaria, to name just a few of the nations that outshine Brazil. According to the Women in Parliaments table, of the Western Hemisphere nations, only Haiti and Panama have a lower percentage of women in Congress than Brazil. It’s not too late for Dilma, she can single-handedly deal a blow for gender equality by naming qualified females to her cabinet and to other top posts. She can insist companies employ women and pay they the same salaries as their male peers. She can decriminalize abortion and give women the right to choose what they do with their own bodies. Her words were cute. But words are not enough. Abortion is a touchy subject in those anachronistic nations where religious groups still wield power. But I still get frustrated at how Brazil lets the Roman Catholic Church manage the debate on the subject. That’s one of my conclusions after writing this Time magazine story about abortion. The Church has lost so much moral credibility following recent scandals here in Brazil (and elsewhere) but lily livered and macho Brazilian politicians are afraid to question the Church’s hypocritical stance on the issue. They claim it is a public health issue rather than a moral one but they do nothing to change that, even though 200,000 Brazilian women are hospitalized every year due to serious complications arising from backstreet abortions. I wrote my piece after reading a recently released study that shows one-in-five Brazilian women of child-bearing age have had an abortion. This, in a nation where the procedure is illegal. See a map here showing how different nations legislate abortion. The federal government offers everything from condoms and contraceptive pills to vasectomies — all free — in every one of the country’s 5,565 municipalities. And states are taking their own steps, as I wrote about here for the Christian Science Monitor back in 2007. Brazil is on the way to being a modern and progressive nation. It is growing economically, reducing poverty and forging a new role in world affairs. But if it truly wants to be taken seriously it needs to do away with the antiquated and harmful policies that treat its women as criminals.